As I am writing this the Uk is having its warmest June weather on record…and it’s great! Well it’s great if you can get out of the heat when you want to or have a cool drink or don’t have to do too much! But when it comes to teaching children how does the hot weather affect things and how can we work effectively in these conditions? Firstly and of the most importance let’s look at the children’s welfare. Not all families are created equal and that applies not only to social status but also to common sense! 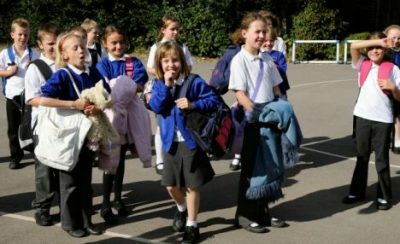 In the warm weather, as a Primary teacher you do need to watch your children very carefully as they arrive into class each day…. What are they wearing – is it appropriate for the weather or is it same old same old irrespective of the conditions? This applies not only to clothing but also to footwear. Are they wearing a hat…a message should have gone out from the school to parents to provide their child with a hat- so do check that they have one and that they are wearing it. Do they have a water bottle? Not so much of a “must have” as in the past but in the summer 1 should really appear. Have they had sun cream applied by mum or dad before they come to school. Have all asthma sufferers brought their inhalers? Do you have any children who suffer from hay fever and do they require medication (x ref office)? But monitoring is not enough…. If you find that some of your children are not properly dressed or organised it is up to you, as the teacher, to get things sorted out! If children are too layered then make sure they remove sweat tops etc (no they won’t have the sense to do this and will sit and slowly cook!) Long trousers can always be changed for P.E shorts. Change boots / wellingtons (for some children yes this may be the case) into PE trainers or plimsolls (remember those!). If the children themselves don’t have these in school then see if the school has spare or there may be some in lost property. Lack of water bottles can always be replaced by plastic cups – there are bound to be some in school and if you are using a few of the dining room cups then you can instruct your class to wash them quickly after use so that the next person in class can use them. Just a note on this…even in hot weather I still did not allow bottles or cups on desks. However we did take regular breaks so that we could have a drink. The danger of bottles on desks is that children turn into camels and are forever taking on water! Make sure you have inhalers etc to hand in case needed – contact the office if any child does not have their inhaler or becomes unwell with hayfever. Suncream should have been put on at home and should last for the whole day. Check your schools approach to applying suncream at school. Some parents will send in cream to be applied but your school will have made a decision as to whether it has any school suncream for use. All the above should have been covered in the parent newsletter but keep checking every day to see what lands! So that has been your initial check of the children…but what about your classroom? Unfortunately the factories act with regard to working conditions doesn’t seem to apply to classrooms in so far as you can always change location to work! However no one enjoys working in a hot and stuffy classroom and so you do need to take steps to try to overcome this. Heating – the school should have turned the heating off but if they have not then make sure your radiators are turned off….if they don’t turn off then see the caretaker! 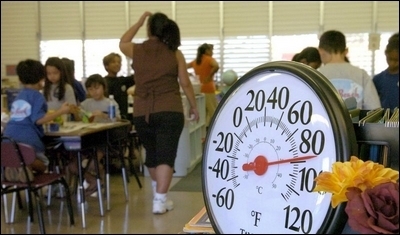 Windows – many modern classroom windows only open a slight amount and this is useless in hot weather. I asked the caretaker to undo the safety mechanism so that the windows could be opened wide…much better. (I can only tell you here what I did….and you will I am sure come to your own decision on this! )…obviously safety catches on windows should never be removed if the classroom is above ground level! Windows – if your windows open wide make sure that they do not pose a safety hazard for children at playtimes / lunchtimes …if there is this potential then just make sure you close your windows at these times. Doors – if you leave your door open then you can get a through draft across the room. Check on this but it is often possible to bring in a couple of fans into class…make sure that they have the right guards on the front and are situated well out of the way of small hands. Interactive screens – I have mentioned this previously in my article on screens – but some of them(especially the large touch screens) pump out a massive amount of heat….lucky you. Try switching it off and using your whiteboard instead! Having got everything sorted out as best you can then of course you have to do some work! To be honest it really is a good idea just to take your foot off the gas a little – not completely but just make things a little less demanding. If you are in Y6 then of course you may be faced with SATs and so you will need to push on, but if you have got your classroom as cool as you can get it then that’s all you can do! This is a great and fun option to use so never be afraid of heading out. I also advocate the use of the sports box in your classroom. The link to my article telling you all about this is below. But having this in your classroom allows you to simply decide to go out and enjoy the sunshine. 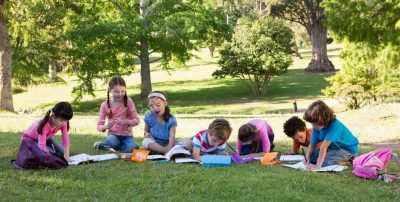 Mostly to be used in the afternoons when you really feel that your class has “been in long enough and we need to get outside”. Its take no planning and no real organisation – brilliant! Now’s the time to get your summer sports box sorted. Well that’s a quick look at getting geared up for the hot weather – its not a problem every summer (more’s the pity) but when it does happen these are some ideas of the steps you can take. Have fun – get outside and let’s enjoy the sun!